The quiet struggle between the Thaksin Shinawatra clan and its supporters and the military dictatorship is heavily weighted in favor of the latter. After all, the military junta has lots of armed soldiers, control of the police and has plenty of overcrowded prisons. In addition, it has the courts, the puppet assemblies and so on. There has been talk of a “deal” being negotiated between Thaksin and the junta. Yellow-shirted ideologues see bombs, student demonstrations and anti-monarchy activism as being the weapons of Thaksin and his clan. They might also see the military dictatorship’s increasing screwing down of red shirts and others as and example of the junta responding. We could believe this. After all, Thaksin has been a skilled negotiator. That said, each “deal” that has been said to have been done in the past has ended badly for Thaksin. Think of the “deal” undone by the amnesty debacle. In this context, the continuing attacks on the Thaksin clan seems to us at PPT to be more likely to be an example of the military seeking to expunge that group – something it was accused of failing to do following the 2006 putsch. On 7 October 2008 the Somchai government “ordered police to clear Yellowshirt [People’s Alliance for Democracy] protesters who were blocking the entrance to Parliament and calling on Somchai to resign. Two people were killed…”. As far as PPT can recall, with the help of Wikipedia, only one protester died in the skirmishes between police and a violent PAD. The second “protester” blew himself up in a car bomb gone wrong. The “investigation” involved the use of GT200 magic wands by royalist forensic “scientist” Pornthip Rojanasunand, who simply decided that the woman killed was hit by a police tear gas canister. The NACC is pushing this case “because the Office of Attorney-General declined to take the case…”. The queen, when she was still politically active, attended the funeral of the victim and praised her. What has the NACC done to investigate the murder of red shirts by the military in 2010? The junta says it “must be careful when considering her travel requests, to avoid affecting legal proceedings…”. Of course, all they are doing is squeezing her and her clan. PPT has read several articles, social media sources and received several emails about The military’s puppet Assembly (predictably) voting to impeach former Prime Minister Yingluck Shinawatra. No links to the sources, just a cut-and-paste. Yingluck was impeached for being elected prime minister. The puppets and a legion of royalists say it was about her lack of oversight on her government’s rice subsidy, but her real “crime” for them was her popularity and for being Thaksin’s sister. The vote is one “partisan action aimed at crippling the political machine founded by her brother, Thaksin Shinawatra, another ousted Prime Minister.” Other partisan actions will produce a constitution that will be anti-Thaksin, anti-democratic and anti-election. Yingluck will be banned from politics for five years, but that is not enough for some, with the partisan Attorney General’s Office will “indict her on criminal charges for negligence related to losses and alleged corruption in the rice program.” That could lead to 10 years in jail. That may not be enough for others who will seek to drive her into exile. banning represents a show of confidence by the junta, which feels that it has broken the back of the Pheu Thai Party and the Red Shirt movement. It also allows the junta to reassert its anti-Thaksin credentials with the pro-royalist street movement that paved the way for the coup…. With Yingluck banned and Thaksin in exile, the military junta and its appointed bodies will feel more confident in gradually preparing the way for an election, probably in 2016. They will be more confident that they can be heavy-handed in changing the political rules to prevent any pro-Thaksin party having any chance to do well electorally. Yes, political, but hardly hidden! Yingluck made some commentsat Facebook, saying she expected the Assembly to impeach her. The idea that she can be impeached when she doesn’t hold a single position anywhere, having been thrown out just before the coup by the politicized Constitutional Court is reflective of bizarre royalist Thailand. Anti-democrats welcomed the pre-ordained decision. Akanat Promphan, on his Facebook page, made inane statements about the “bravery” of the puppet Assembly, ethics and morals. He’s clearly lost his moral compass. Update 1: The unofficial translation of Yingluck’s statement is available at the Puea Thai Party site. Update 2: As noted above, the Attorney General has also decided to go after Yingluck, with the aim of tying her up in the courts or even in jail for months and years to come. 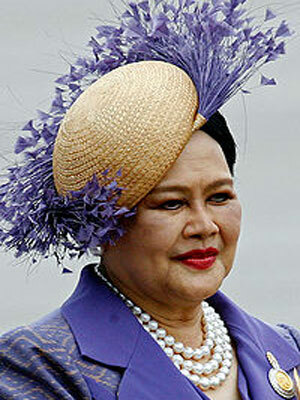 She’s not the only one in the Shinawatra clan who is targeted. While PPT was recently disgusted by the political toadying of Somchai Wongsawat, the military dictatorship seems to have taken little notice, and the National Anti-Corruption Commission has launched a “lawsuit against former prime minister Somchai … and three others [Gen Chavalit Yongchaiyudh, a former deputy prime minister, Pol Gen Patcharawat Wongsuwon, the former police chief, and Pol Lt Gen Suchart Muankaew, the former Metropolitan Police chief] over the 2008 crackdown on People’s Alliance for Democracy protestors.” The Supreme Court is to decide whether to hear the case. The royalist elite certainly seems keen to punish those it sees as elite traitors. PPT was wide-eyed when reading a report at the Bangkok Post about a brand new anti-Thaksin Shinawatra group with a brand new tactic for bringing the Puea Thai-led government down: going to the courts! We weren’t really stunned, we’re fibbing. We were really just amazed at how boringly predictable this lot are. That said, being predictable or boring doesn’t mean that their tactics won’t be successful. The People Assembly Reforming Thailand – yes, that’s PART – is reportedly about to “launch a legal challenge to the government’s 2-trillion-baht borrowing bill for infrastructure development projects,” which will see it asking the Constitutional Court to rule, yet again, against the government based on its royalist interpretation of the military junta-tutored 2007 constitution. 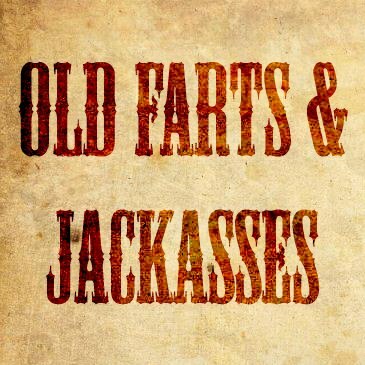 PART is composed of the usual old farts – sorry, couldn’t resist – of the yellow-shirted, royalist groups that get established by the dozen each time a new anti-government gimmick is required, although simply shuffling a known deck is hardly useful gimmickry. And, oh yes, the Democrat Party “also intends to launch legal action.” How predictable. One of Part’s leaders was People’s Alliance for Democracy leader and former Democrat Party MP Somkiat Pongpaibul. Another was NIDA’s own former PAD stage performer Pichai Rattanadilok Na Phuket. He let it be known that PART “also discussed other issues including the rising cost of living, the amnesty bill, and the charter amendment bill.” What a surprise! Preeda Tiasuwan, chairman of Pranda Jewellery and head of the Businessmen for Democracy and Environment Club (any link there? ), managed to come up with the usual royalist complaint that politicians can’t sold the “country’s problems,” although apart from the yellow lot’s opposition to elected representation, the reason for this view isn’t explained. Meanwhile, a Senate committee dominated by the unelected variety managed to criticize Yingluck Shinawatra’s policies as “populist.” The Democrat Party agrees and is going to launch an alternative economic policy with its old Thai Khem Khaeng projects “as a model showing how money under budget laws could be better spent. The Thai Khemkaeng projects were the subject of criticism and didn’t amount to much. This is all ever so boringly old; indeed, a bunch of throwbacks coming up with throwback ideas. Yet, the old farts of PART have some supporters in the judiciary, so maybe the throwbacks are onto something (again). often suffers droughts and studies have shown hundreds of billions of baht would be required to solve this problem, Mr Abhisit said. The government should spend some of the money on ending water shortages in the Northeast, he said. “The government has often talked about poverty in Isan, but it chooses not to spend in this region,” he said. We were reminded that “solving” this problem would almost invariably be an ecological disaster if the “studies” mentioned are those that began as far as the Green Isan project initiated by Chavalit Yongchaiyudh in the mid-1980s. The Democrat Party’s penchant for old ideas is remarkable. In earlier posts (here and here), PPT commented on the questions asked of 2006 coup leader General Sonthi Boonyaratglin about who was behind the military’s seizure of power and trashing of the 1997 constitution, planning it and urging it. The following post is a bit convoluted, but this is because the current discussion of the coup is meant to obfuscate. Of course, if one were to read the Wikileaks cables PPT has been posting, it becomes pretty clear that there were a bunch of academics, human rights “activists,” and members of the elite wanting a coup. And, as we noted in one of those earlier posts, those asking these questions now should have watched Prem, listened to the coup plotters themselves and even read Wikileaks. The one Wikileaks “voice” that repeatedly saying there would be no coup was the military. But no one should ever believe them. That said, reading between the lines, it was also clear that Sonthi was clearing the decks for action against Thaksin Shinawatra. Notably, also, Thai Rak Thai Party strategy advisers seemed unable to conceive of Sonthi carrying out a coup. Certainly, they seemed to underestimate his capacity for rebellion, whether of his own volition or prompted by Prem or others in the palace. The current question is whether Sonthi was ordered by higher-ups to act against the Thaksin government. 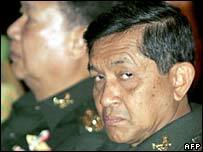 Most assume that Privy Council President General Prem Tinsulanonda had pushed General Sonthi into the 19 September 2006 coup. Others talk about the queen’s role. If the latter were the case, the idea would be to dump all the blame for the putsch on Sonthi alone. That seems unlikely to us, and PPT looking at the issue cynically would point out that blaming Sonthi would whitewash the palace and Prem. It seems to PPT that the current questioning could be about a range of political maneuvering, most of it associated with the palace’s political role. It could be designed to clean up some of the post-coup mess that has been sheeted home to Prem’s meddling in politics from his position inside the palace. This could be at Thaksin’s urging, as part of his determination to get back on-side with the monarchy and monarchists that seems to hate him. It could also reflect a desire on the part of some in the palace to sideline Prem as succession draws ever closer, by hoping that his role in the coup will be further spotlighted. What we might do, rather than join conspiracies, is just look at what’s being said and see where that takes us. At The Nation, we hear that General Banchorn Chawalsilp has been joining in, saying that “Prem instructed his former aide General Mongkol Ampornpisit to tell Sonthi to outline the truth behind the coup…”. As a note on this, Banchorn is seen as having been close to General Chavalit Yongchaiyudh, which should not have him rushing to Prem’s side. But do Banchorn or royalists or even Thaksin really want the truth behind the coup? The truth? They can’t handle the truth. Notice that Jack Nicholson is in military uniform, ranting about honor and protecting all that is good. It seems to fit very well. Royalists don’t want the truth because it would reveal royalists like Prem manipulating politics. It may reveal more than the smoke and mirrors that are the hallmark of the palace’s political interferences. 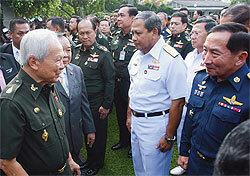 Banchorn tells us that “Prem was concerned that he was being perceived as the mastermind behind the coup…”. Of course he was concerned, for this connection was very obvious, seen in his donning of military uniform as he traipsed around military bases, privy counselors in tow, demanding loyalty to the throne and not the government. Of course he was preparing the ground for a coup. The current claim seems to be that Prem urged Sonthi to “reveal” a “truth” as if the “truth” will somehow and miraculously exonerate Prem of any responsibility. The problem for Prem is the public record of his actions against the Thaksin government. Sanan said he had no ill intentions towards Sonthi, but wanted the public to learn the truth about the coup. Over the past five years, Sonthi has been deflecting the blame on others and the coup remains a mystery, he said, arguing that fences could not be mended if people were misled to believe that Prem was behind it all. The implication is that Sonthi “used” the monarchy. PPT even begins to feel a bit of sympathy for the not-so-bright Sonthi, who was used for palace and elite purposes in 2006 and is now to be the palace’s fall guy again. We wonder if he’s prepared to do that? Sonthi reportedly completed writing six books, including his biography, before he entered politics [PPT guesses that The Nation considers running a coup isn’t about politics…] as leader of the Matubhum Party last year. It is believed that these books will be published after his death to avoid unintended repercussions on leading figures. Sonthi might reveal the role of “leading figures”? Perhaps he’ll explain the role of those behind Prem? believed that Prem summoned Sonthi to see the King, hence Sonthi should clarify this meeting because Prem was seen arriving at the Palace after arrangements for the royal audience had been completed. I began by asking Sonthi about the audience with the King last night. Who had attended? 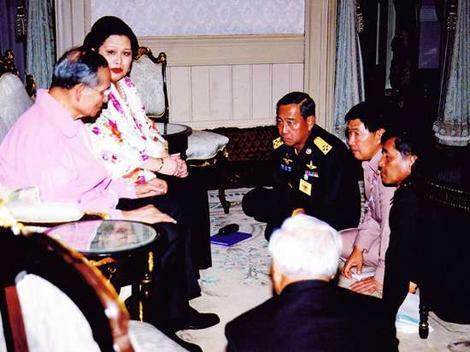 He said Privy Council President Prem Tinsulanonda had brought him, Supreme Commander Ruangroj and Navy Commander Sathiraphan in to meet the King. Sonthi stressed that they had been summoned to the palace; he had not sought the audience. He said the King was relaxed and happy, smiling throughout. He provided no further details. If nothing else, perhaps we can observe that the beneficiaries of this new discussion may not be those who began it, for the story of the coup is something that has many players and manipulators at work. This is the sixth post, and for now, our last, on Human Rights Watch and the events that unfolded following the 2006 coup. 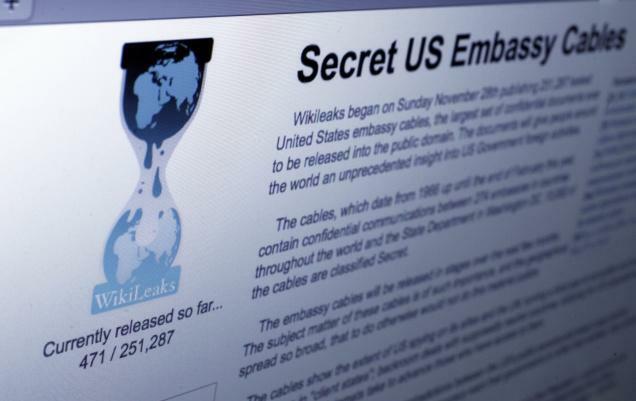 Wikileaks has 58 cables mentioning HRW in Thailand, the majority related to events in the South. We know the number is V, but the first one had a different title. In this post, as in the previous instances, we look at cables related to political struggles in 2010. In a cable dated 16 February 2010, the U.S. Embassy reports on “two bombing incidents over the weekend served to further heighten anxieties in Thailand’s capital.” The cable reports on “speculation” over the source of the bombs. Sunai … told us he was convinced that people connected to Thaksin [Shinawatra] were responsible for the bombs, and added that the government would definitely use the attempted attacks to try and discredit the UDD. We would have thought that an HRW representative would have been more circumspect in voicing a personal opinion that isn’t based on any evidence. Most especially when there were high political tensions and the bombs were being used by several sides in the political dispute to discredit others. Certainly, the People’s Alliance for Democracy and the Democrat Party were also blaming Thaksin and red shirts, again with no specific evidence. Recall that he had earlier blamed General Chavalit Yongchaiyudh – aligned with Thaksin – for earlier bombings, again with no evidence. Whoever was responsible, pinning the blame on the red shirts permitted the Abhisit Vejjajiva government to justify limiting the rights of peaceful protesters. Given Sunai’s record of complaining of the lack of government action to discredit Thaksin, we are left to ponder the reasoning that underpins this claim. This is PPT’s third post on recently released Wikileaks cables that comment on Human Rights Watch, lese majeste and the 2006 coup. The first post is here and the second is here. In this post we begin with a 5 January 2007 cable, where Ambassador Ralph Boyce indicates what he seems to have seen as an exceptionally close relationship with HRW’s Sunai Phasuk. rumors were rife that Council for National Security (CNS) member General Saprang Kalayanamitr was behind the movements, due to his dissatisfaction with the current regime’s “softness” against those seeking to undermine the interim government (e.g., former Thai Rak Thai officials). Saprang denied everything but the Embassy saw a conflict between the royalist Saprang and former prime minister General Chavalit Yongchaiyudh who was identified as pro-Thaksin Shinawatra. Sunai firmly believes that political actors — most likely with ties to former PM Chavalit Yongchaiyudh — were behind the bombings. According to Sunai, the bomb attacks were designed to discredit the government and to distract the public from the ongoing corruption investigations of former Prime Minister Thaksin and his supporters. With no evidence presented, this accusation is one that matched a claim made by yellow shirt support and 2006 coup plotter General Saprang. Sunai went on to say that he “personally believes that the government and CNS are ‘good people’ but are increasingly ineffective.” Again, that is a comment that Saprang would have appreciated. No one has ever claimed responsibility for the bombings and no one has ever been charged. What isn’t clear is why HRW should be informally finger pointing at Chavalit, effectively repeating stories circulated by yellow shirts like Saprang who have a record of plots (such as the 2006 coup). Again, readers can draw conclusions on relationships, accusations and apparent political bias. 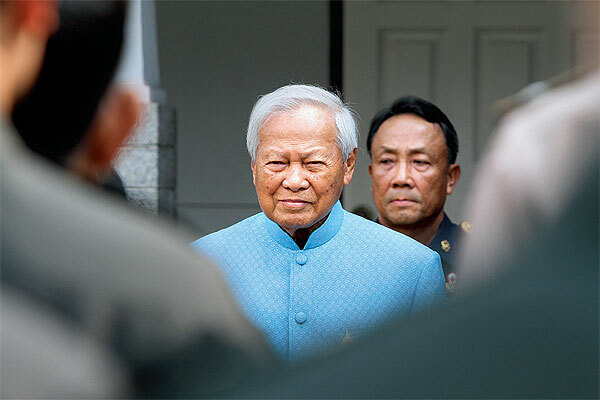 In a cable leaked by Wikileaks dated 18 July 2006, signed by counselor Alex Arvizu, the focus is Privy Council president General Prem Tinsulanonda’s high-profile speech at the Chulachomklao Military Academy on July 14. A couple of questions arise: why has it taken 4 days to report the speech (we assume there were other cables that Wikileaks couldn’t get) and why is Ambassador Ralph Boyce silent? On the latter, there may be a host a reasons but looking at other cables, we guess he was away. This comment is on one of the most profound and game-setting actions of the political crisis of 2006. While the Embassy has previously made all kinds of politically-biased judgements in almost every other cable we have read, this one is simply reported; that is, of course, a bias in itself. The cable states that Prem has “struck back at PM Thaksin Shinawatra on July 14 in a speech to military cadets.” The cable goes on to refer to Prem’s speech as “bold” and his appearance in military uniform as a “high-profile visit to the Chulachomklao Military Academy…. with former Army Chiefs Chawalit Yongchaiyudh, [PPT: and fellow Privy Council member] Surayud Chulanont, Oud Buengbon and Pongthem Thespratheep alongside him…”. in horse racing, horse owners hire jockeys to ride the horses. The jockeys do not own the horses. They just ride them. A government is like a jockey. It supervises soldiers, but the real owners are the country and the King … the government comes and goes. The cable states that this was “only the first in a series of lectures he [Prem] plans to give to cadets and soldiers over the next few weeks, to “raise awareness.” The Embassy makes no comment on this even while the media saw these moves as coup preparations. By this time it is clear that the Embassy is saddled up with Prem and the palace and is either hoping that the pressure is too great for Thaksin or views a coup as a viable option.